Your big BMW engine commands respect on road and off but you can help it retain that dignity by providing it with a side stand foot that reflects its size. 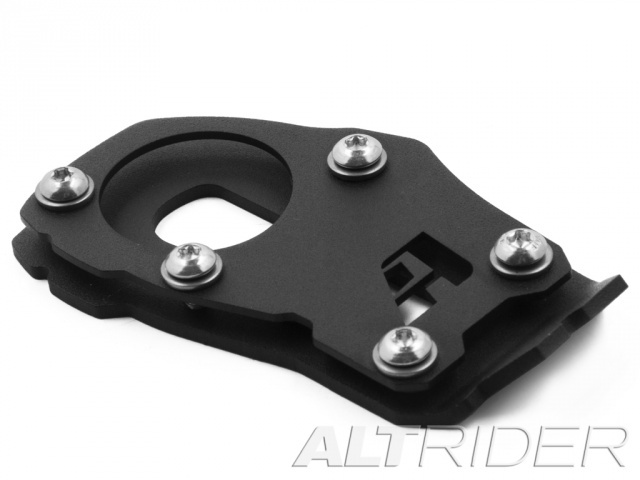 The AltRider Side Stand Foot for the BMW R 1200 RT Water Cooled provides your bike with a larger footprint so it can easily keep it from sinking into hot pavement or losing its balance on soft uneven terrain such as dirt or gravel roads. 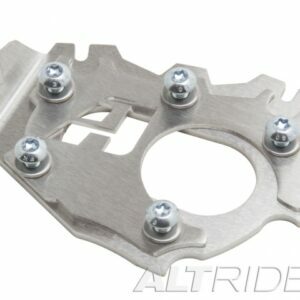 After seeing many imitations of our previous designs AltRider has taken our side stand foot design to the next level. The highlighted logo was strategically designed to keep weight down by removing unnecessary material from the top and bottom plates. 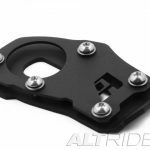 Keeping the weight of the side stand foot down is critical because any added weight to your side stand can lead to the side stand dropping during a ride. If a side stand drops while the bike is in motion it can deploy the side stand switch guard cutting the engine without warning and lead to a potential crash. 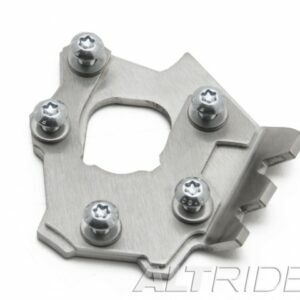 Made from hefty 1/8 inch stainless steel the side stand foot is specifically designed to fit the unique side stand on the R 1200 RT. 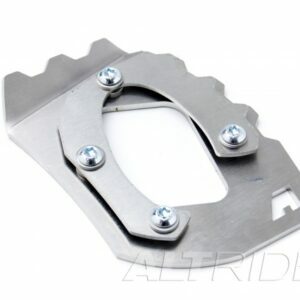 It features a 3D tread that echoes the aggressive AltRider Radiator Guard design while providing traction for your boots. 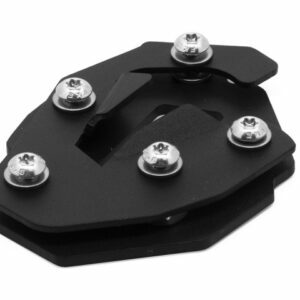 It is the most ergonomic design on the market allowing easy deployment of the side stand while still on the bike. 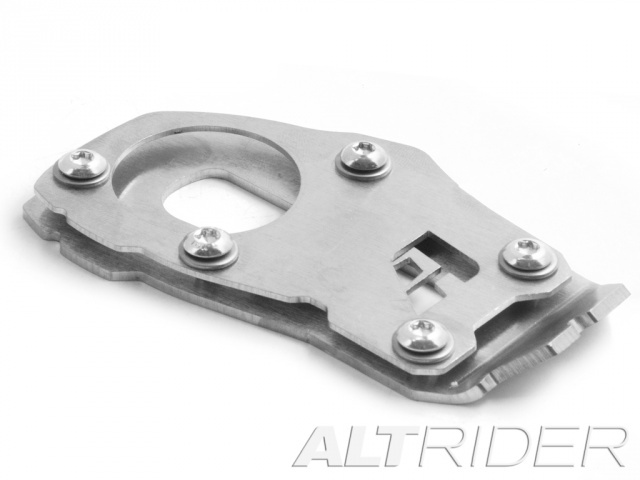 The AltRider foot also clamps down on the actual foot of the side stand with Torx fasteners which means the piece will remain tight even after months of use. No more rattling or stripped fasteners!